The Israeli Police claimed that the child, Samah Zoheir Mubarak, 16, was carrying her schoolbag when she “pulled a knife and attempted to stab the soldiers,” when the officers fired several live rounds at her and killed her. Furthermore, the police later abducted Samah’s father, and moved him to the al-Maskobiyya interrogation center in Jerusalem. 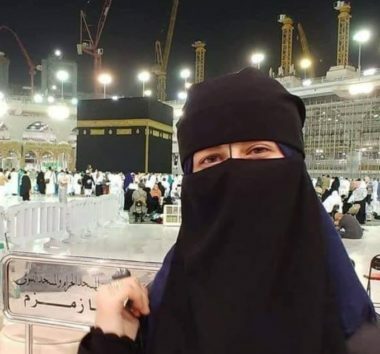 Media sources said the Samah was wearing an Islamic Niqab, and that the soldiers ordered her to uncover her face, but she refused before the soldiers shot and killed her, alleging that she attempted to stab them. She was walking in an area of the military roadblock only designated for vehicles and not pedestrians when she was fatally shot from a close range. The Border Police examined her schoolbag, which was filled with books, and school stationary. Samah was left bleeding on the ground and died from her wounds. She is from Nusseirat in Gaza, but her family moved to Umm ash-Sharayet neighborhood in the central West Bank city of Ramallah, a year ago, and was an eleven-grade school student. It is worth mentioning that Samah has just returned from Mecca, in Saudi Arabia, a few days ago, after performing pilgrimage.